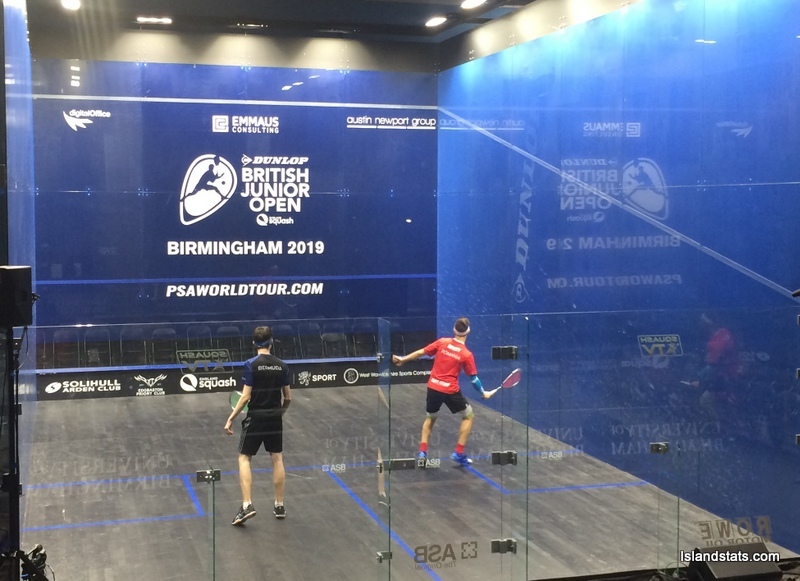 Taylor Carrick concluded competing in the 2019 Dunlop British Junior Squash Open. The final day of competition for Carrick would be another mixed one in the Boy’s under 19 Division. 750 competitors met at 4 venues in Birmingham, England representing over 50 countries. Carrick, newly in the Under 19 Division with a First Round of 128 boys, finished 53rd overall after playing 6 matches with 3 wins and 3 losses. On the final day Carrick would go down in his first game of the day 9-11, 11-6, 11-8, 11-6 to John Meehan from Scotland. In his Final match Carrick would defeat Nicholas Harbour from England in a five game battle 9-11, 11-8, 11-7, 6-11, 13-11.